ERP stands for Enterprise Resource Planning, but somehow that doesn’t convey what it means or what it does. Generally, it refers to the systems and software packages used by organizations to manage day-to-day business activities, such as accounting, procurement, project management, sales, and manufacturing and/or distribution operations. ERP software helps enterprises to use integrated solutions for business management and to automate certain department processes of an organization, like Human Resources. Towards the beginning, when ERP software first came into the market, it was primarily designed for inventory management. Today, ERP systems have evolved to encompass a lot of other back and front-office operations. 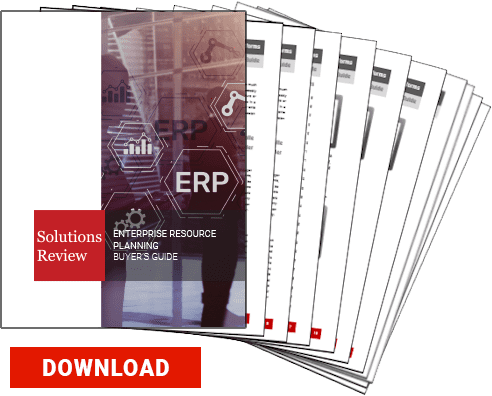 In order to fully understand ERP, it helps to take a step back and consider all the processes required to manage a business – which is a lot. These processes include anything from Customer Relationship Management (CRM), order management, inventory management, labor management, HR, accounting and finance, etc. ERP systems tie together and define a plethora of these business processes, and enable the flow of data between them. By collecting an organization’s shared transactional data from multiple sources, ERP systems eliminate data duplication and provide data integrity with a “single source of truth.” Today, ERP systems are critical for managing thousands of businesses of all sizes and in all industries. 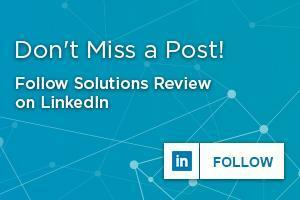 Here at Solutions Review, we understand each business is unique in its own way, but at the core, businesses follow similar processes and face similar issues. So how do you know if your company or organization needs an ERP solution? Your business might be flashing the red light, telling you that it might require a bit of automation and better management. If you’re like me, numbers are not your friend, and dealing with them is time-consuming. There are accounts that need to be tracked both internally and externally. Internally, so that you keep your employees paid through the year and ensure that the processes are running smoothly. Externally, so that you know how much money is flowing into your account through sales. This means twice the scares and twice the amount of time spent on tracking them. It’s a daunting task but it doesn’t have to be that way if you opt for an easy-to-use ERP software. As mentioned earlier, there are plenty of processes involved when managing a business. However, in today’s world, organizations look to digitize these processes. You’ll be amazed at the number of software solutions available for each of these processes. This results in using multiple software and it can get chaotic as your business begins to scale. It can pose a serious problem when managing your business. To solve this, implement an ERP solution in order to have all these processes and data in one collaborative platform. Read more benefits of an ERP software solution here.